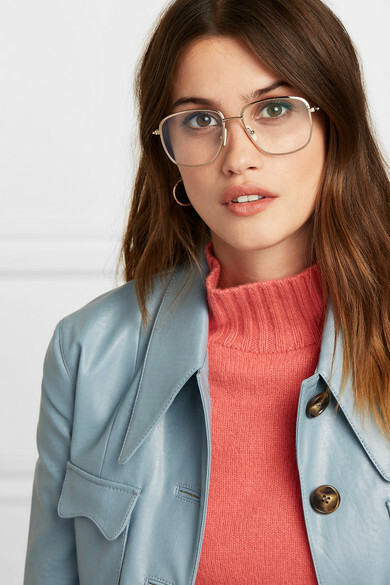 The trend for '70s-style eyewear isn't reserved for those whose vision is less than 20/20 - this pair by Victoria Beckham makes any outfit look more polished, whether they're fitted with prescription lenses or not. 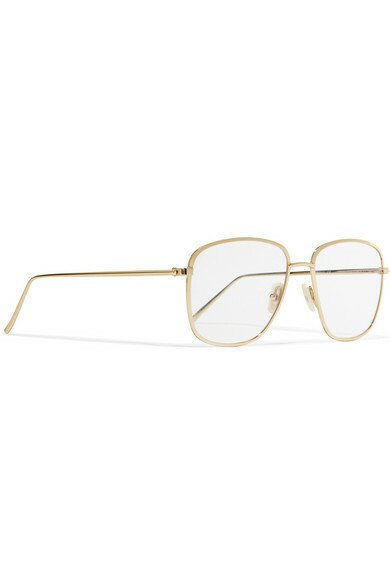 They've been made in Italy from lightweight gold-tone metal in a slightly squared shape. Loose waves or a messy chignon will make your whole outfit feel more modern. Shown here with: Cédric Charlier Sweater, Goldsign Jeans, REJINA PYO Jacket, Marni Bucket bag, The Row Mules, Jennifer Fisher Earrings.